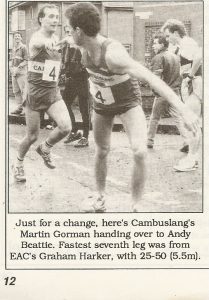 From time to time there appears a magazine dedicated to Scottish athletics – usually with an emphasis on road and cross-country running. The post-war ‘The Scots Athlete’ produced by Walter Ross using the technology available at the time is still a good, well-produced magazine with several excellent writers, its successor ‘The International Athlete’ was not as good a production and the coverage of domestic athletics was much sparser, In the 1970’s George Stevenson in Edinburgh gave us ‘Athletics in Scotland’. The content of this offering was really top-class. It gave race results in some detail, interviews with athletes and coaches as well as a range of other topics such as coaching – the edition with coaching of the sprints by Jimmy Campbell was particularly good. 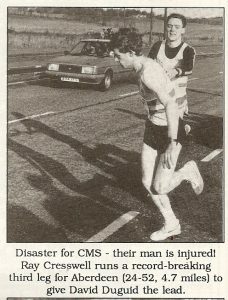 It was done on a shoestring but was a real loss when it went the way of all flesh after too few years. A really determined attempt to produce a quality magazine dealing with the sport using all the latest technology by a team of professional journalists was made in 1986 when ‘Scotland’s Runner’ became available. 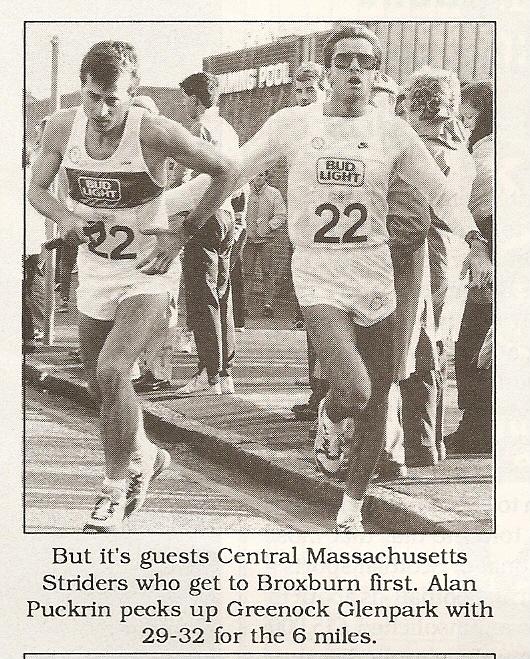 It ran monthly until mid-1993. 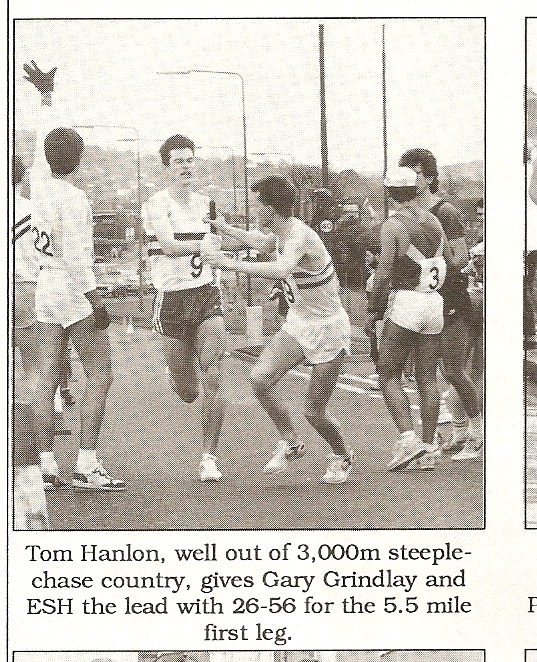 We couldn’t have asked for more from a magazine but the sport could not provide the support necessary to sustain it. 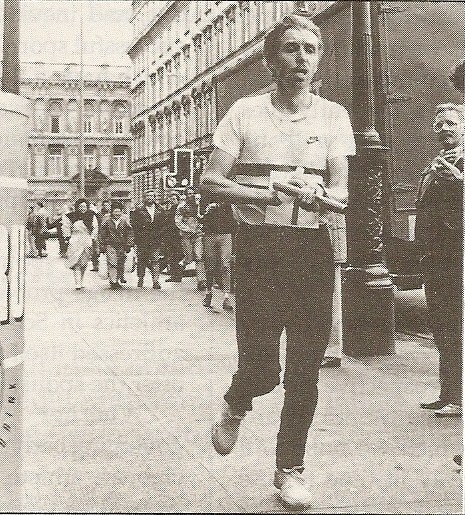 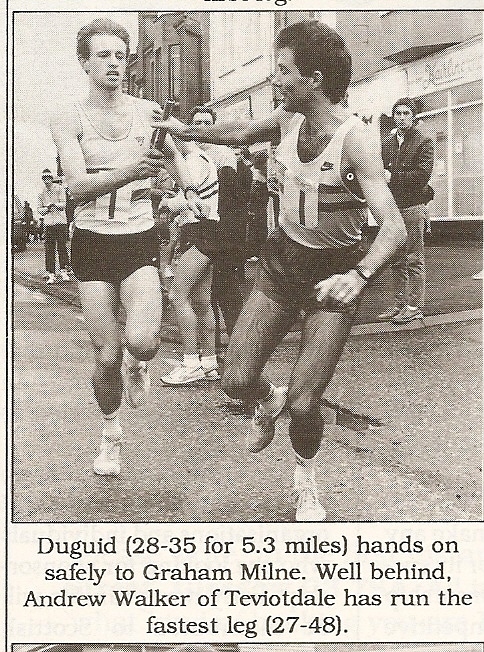 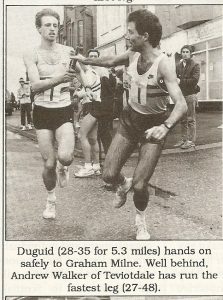 When Aberdeen AAC won the Edinburgh to Glasgow in 1988, the race was well covered and what follows is the series of photographs following the race from the first stage to the last. 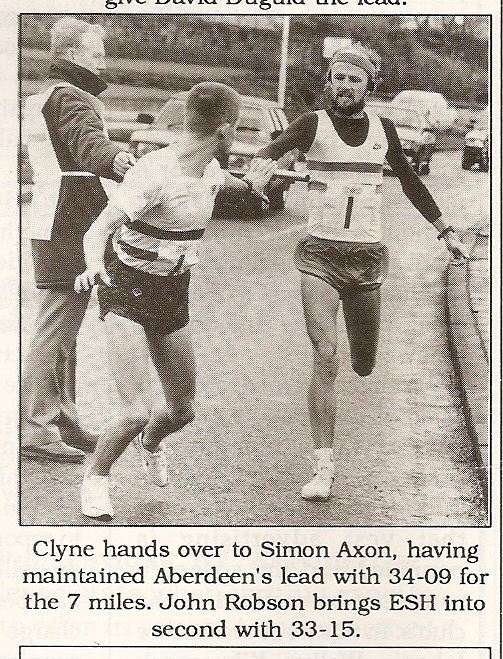 The Aberdeen team consisted that day of Ian Mathieson (7th on the first stage), Chris Hall (3rd at the changeover), Ray Cresswell (1st), David Duguid (1st), Graham Laing (1st), Fraser Clyne (1st), Simon Axon (1st), and Colin Youngson (1st). 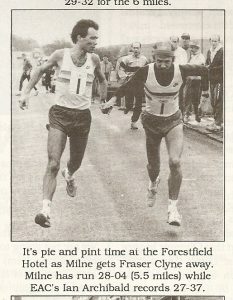 The team’s winning margin was 21 seconds from Edinburgh Southern Harriers, with Ray Cresswell being the only member to turn in the fastest stage time.